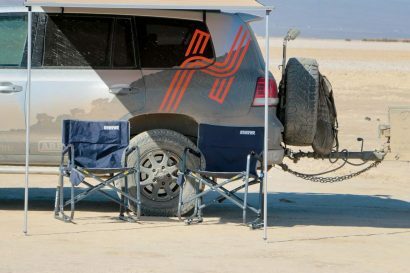 It was nearly two years ago when I loaded up Yeti’s revolutionary new soft cooler, tossed it in the back of my vehicle, and headed for the red rocks of Moab. In the time since, that cooler, the Hopper 30, has earned a loyal following and by way of a steady stream of counterfeits, has proven it is a colossal success. My Hopper 30 has even supplanted my much-loved refrigerator as my weekend beverage hauler and has become a permanent fixture in my vehicle. 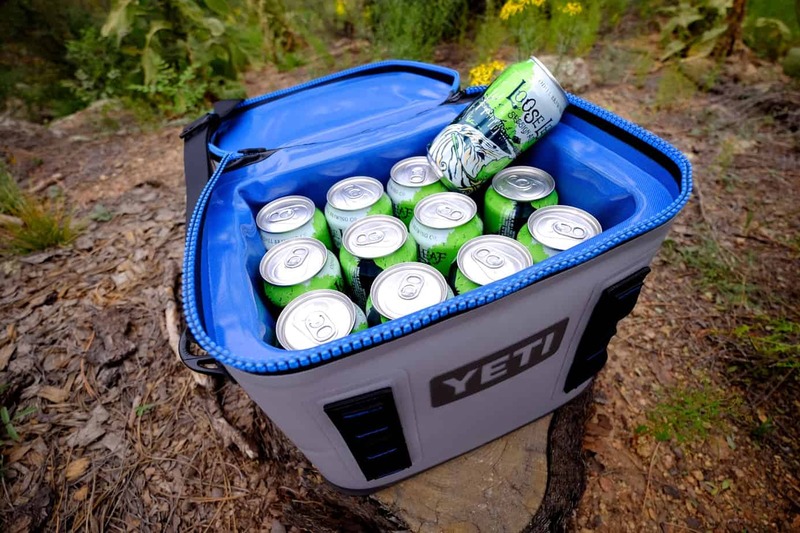 Although I have no complaints with the original Hopper, there are times when it is more than I need, so I was stoked to see Yeti release their latest soft cooler, the smaller Hopper Flip 12. 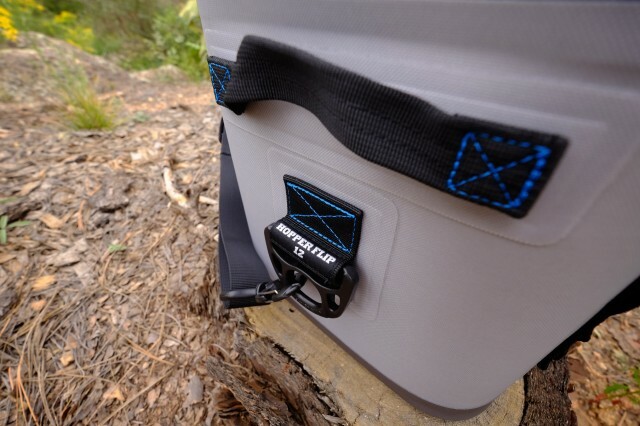 Not only more compact in size, it has a more convenient zipper configuration that allows the lid to flip open for easier access to the interior. 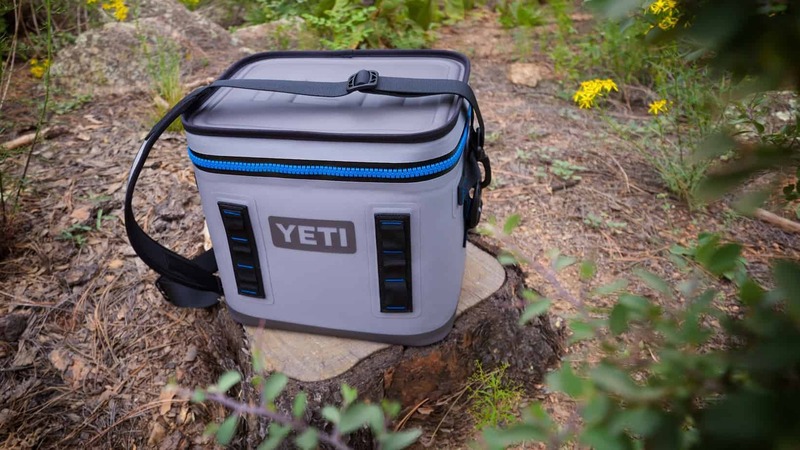 That zipper is the same double-tracked waterproof unit used on their other coolers and the crown jewel in what is arguably one of the most high-tech soft coolers on the market. 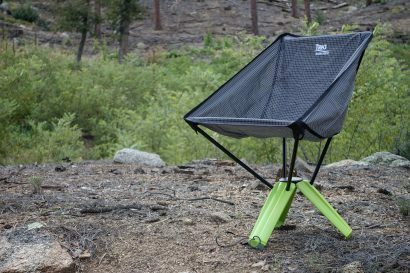 With a large T-handle slider, the Flip’s near 360º zipper slides effortlessly, is extremely robust, and is easy to maintain for years of hard use. Strategically designed to hold 12 aluminum cans, the wee Hopper is surprisingly big. It’s also built with the same materials and construction methods as its bigger brethren. The rugged DryHide fabric is the same type of material used in the construction of river rafts and the liner is made of FDA approved food-grade fabric that I have found works well to resist odors and cleans easily. 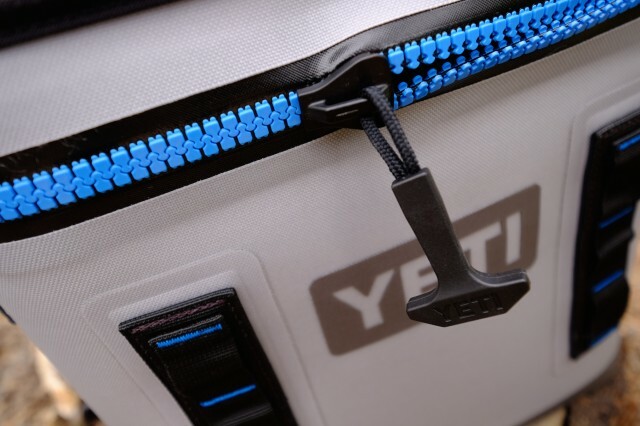 That’s another bonus with the Yeti soft cooler design. 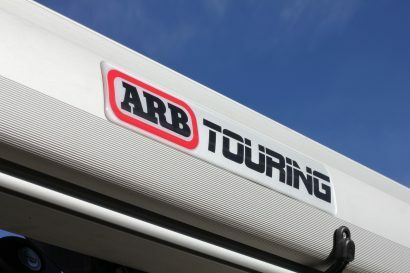 The inner walls are wrapped tight around the Cold Cell insulation eliminating the wrinkles and folds that cause other soft coolers to become funky and prone to gather mildew. 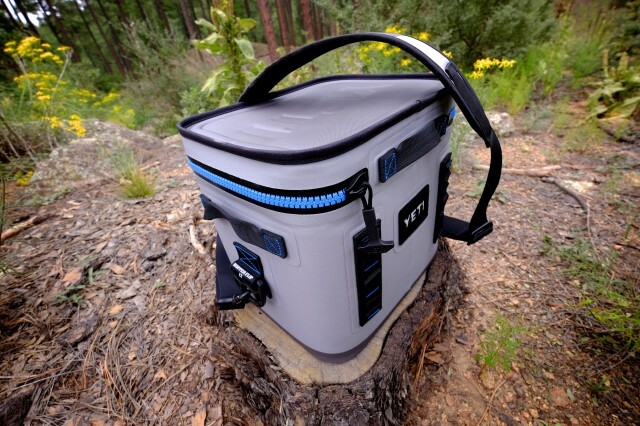 The exterior of the Flip has the same rugged attachment points for Yeti’s bottle opener and accessory pouch as well as a pair of heavy-duty nylon rings to accommodate the padded shoulder strap. Dual webbing handles on either side make for an easy grab and serve as strong lash points. With it’s convenient square shape, flat bottom, and large lid, I’ve found the Flip to be the absolute best motorcycle cooler ever. Mounted to a tail rack, it has the brawn to suffer the worst days on the trail while still retaining ice for hours. I would love to say I’ve subjected the Flip to weather’s worst, but even here in Arizona the temperatures have begun to taper off. My preliminary tests suggest it will perform as well as my larger Hopper, which is to say it will likely retain ice after a couple of days in high summer-like temperatures. An speaking directly to you, yes you, the guy ready to pounce on the comment box with jabs about the price: You have to see this thing up close to get a sense of how much work and design acumen went into it. It may not be worth the payout to you, but for those who see the value in making a purchase that will last a lifetime, it’s a very fair value.